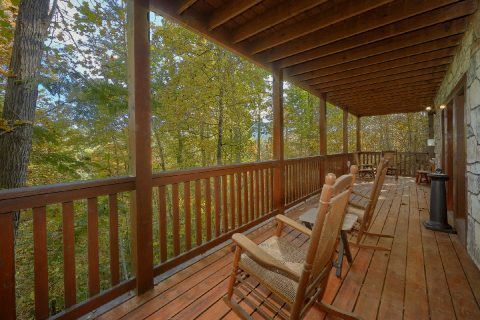 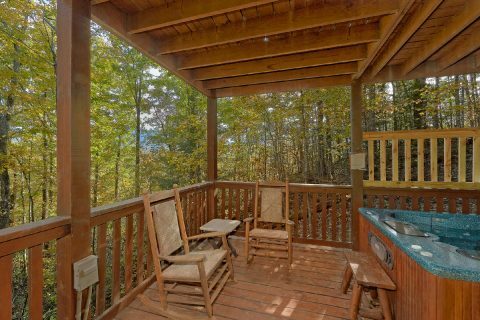 In the beautiful Black Bear Falls Resort area, you'll find "Gray Fox Den," a beautiful Gatlinburg cabin with a wooded view and 3 bedrooms! 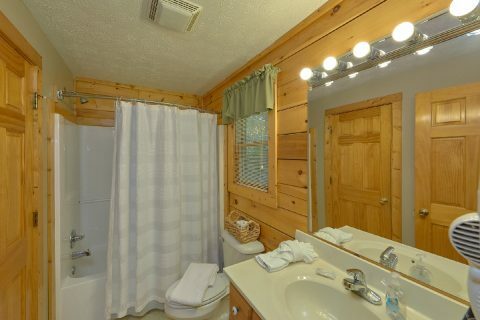 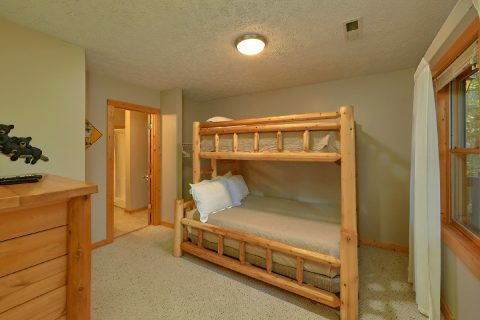 With room for up to 6 guests, this comfortable cabin is just the right size for a family trip to the Smokies! 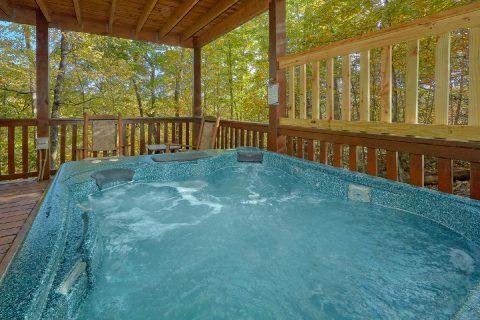 Thanks to this Gatlinburg cabin's great resort location, guests will enjoy outdoor resort swimming pool access during the warm summer months. 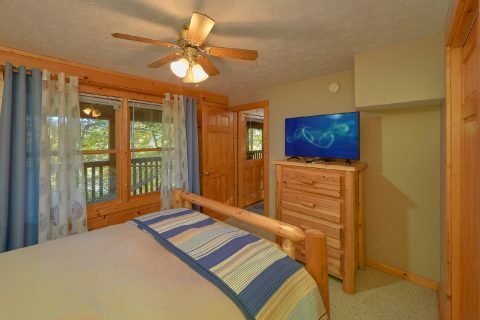 When you're not busy kicking back at this premium cabin resort, you'll love exploring nearby attractions in Gatlinburg and the Great Smoky Mountains National Park. 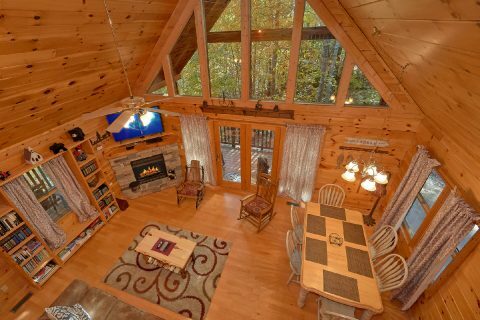 After a great day in the Smokies, you'll love returning to this cozy cabin in the mountains that's surrounded by the beauty of nature. 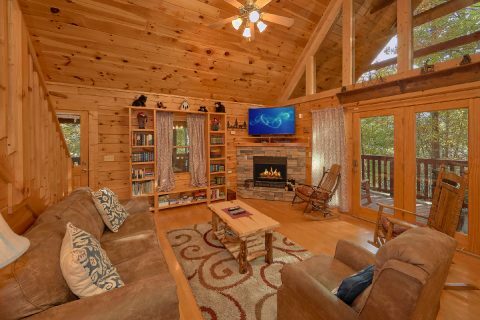 In your cabin's main level, you'll find a comfortable living room complete with comfortable furnishings and a flat-screen television above the seasonal gas fireplace. 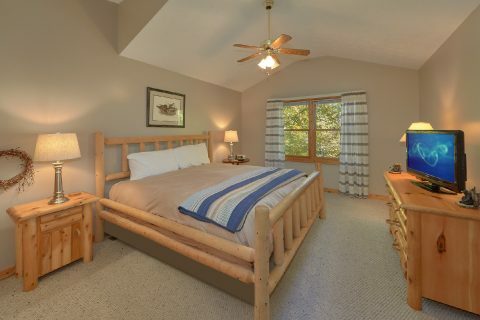 This room features lots of books, so you can enjoy some light reading during your getaway in the mountains. 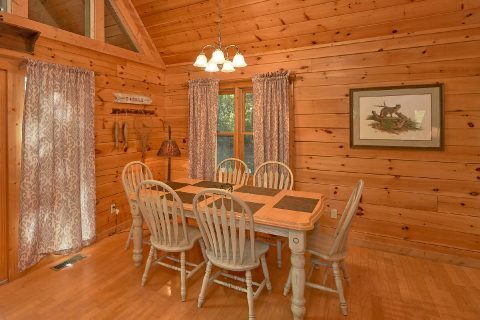 The main floor also features a fully-equipped kitchen and a dining area with seating for 6, so you can have a nice family dinner during your stay. 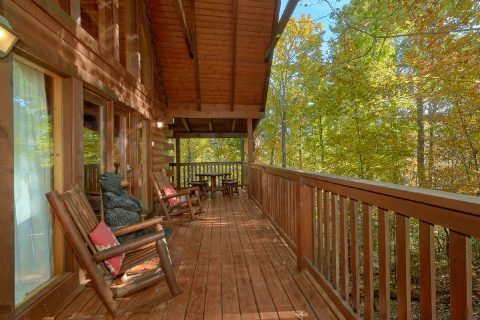 From this level, you can step outside onto your cabin's deck to enjoy the forested view. 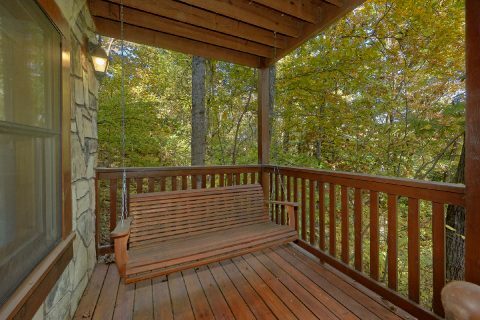 This deck features a porch swing, rocking chairs, and an electric grill. 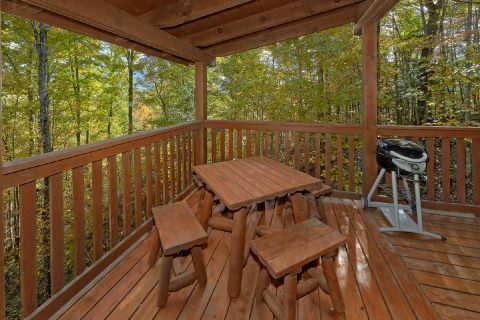 There's also a charcoal grill located just off of the deck. 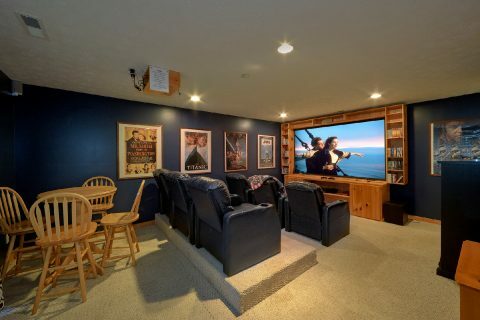 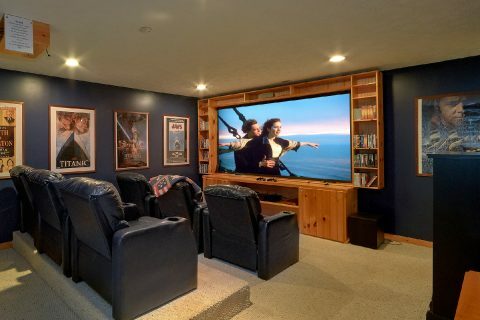 For some in-cabin entertainment, head downstairs to the theater room with a projector, plenty of movies, 6 theater seats, an Xbox, and a DVD player. 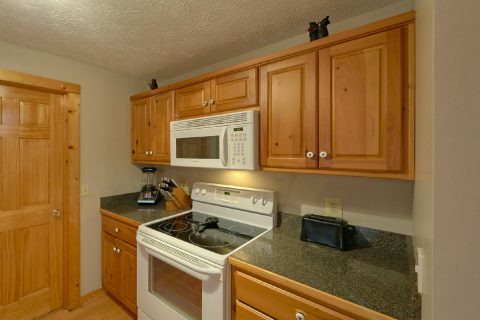 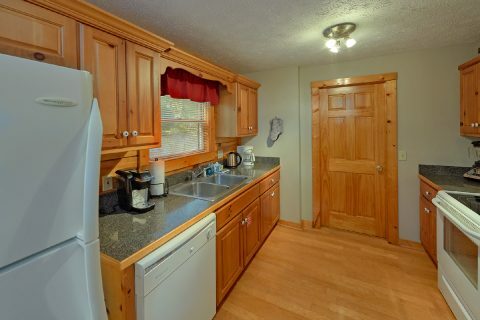 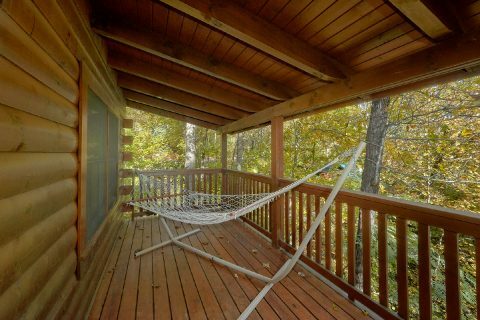 This floor is also home to a lower level deck that comes complete with porch rockers and a hot tub. 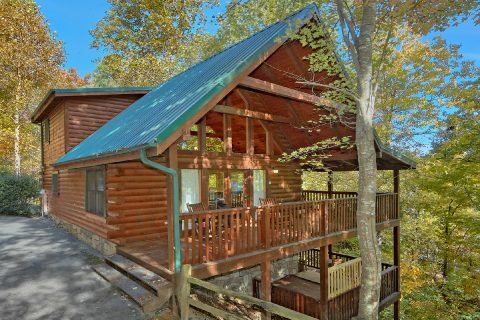 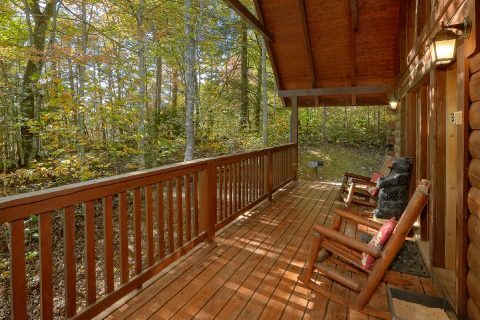 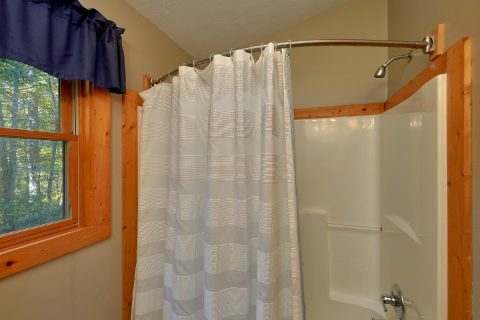 Once you're ready to get some rest on your Smoky Mountain vacation, you can look forward to sleeping in one of this cabin's 3 bedrooms. 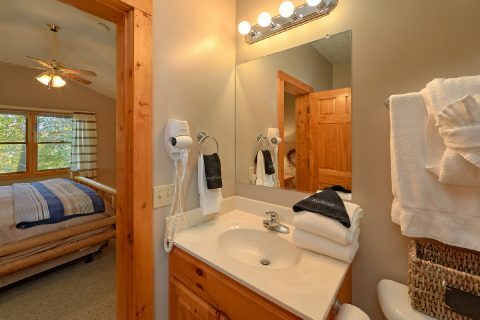 The main floor is home to a bedroom with a queen bed, a flat-screen television, and a full bath. 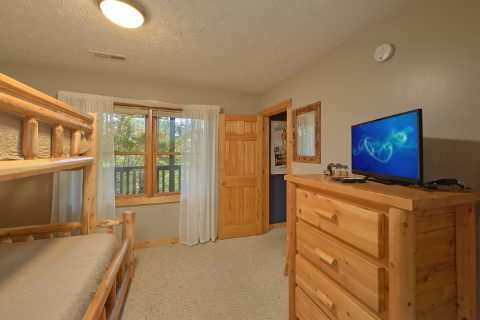 The lower level comes with a bedroom with a bunk bed with a twin bed on top and a full bed on the bottom and a flat-screen TV. 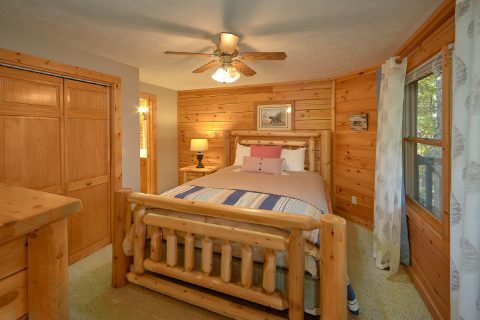 Lastly, the upper level is home to a master bedroom that boasts a king-size bed, a flat-screen television, and a full bathroom. 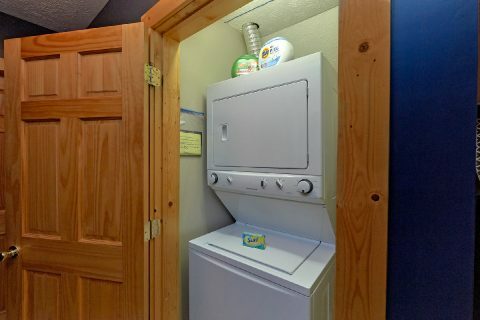 Lastly, "Gray Fox Den" comes with useful amenities like WiFi, a washer/dryer, and parking for two vehicles to use during your stay. 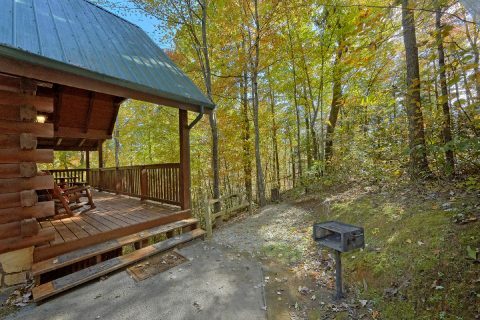 Book this lovely cabin in Gatlinburg today with Cabins USA and you'll save 15% on your nightly rate with our special cabin discount!